Heraldry Ireland : Araltas Éireann is a branch of the Genealogical Society of Ireland dedicated to the promotion of an awareness, appreciation and knowledge of Ireland’s heraldic heritage and of heraldry in general. 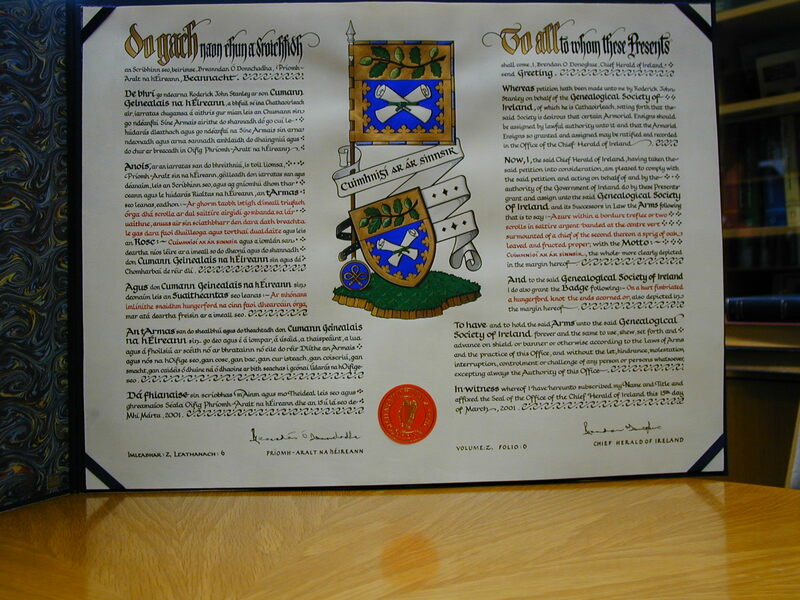 Membership of Heraldry Ireland is open to all interested in the subject whether professionally as a herald, heraldic artist or calligrapher or simply an heraldry enthusiast. 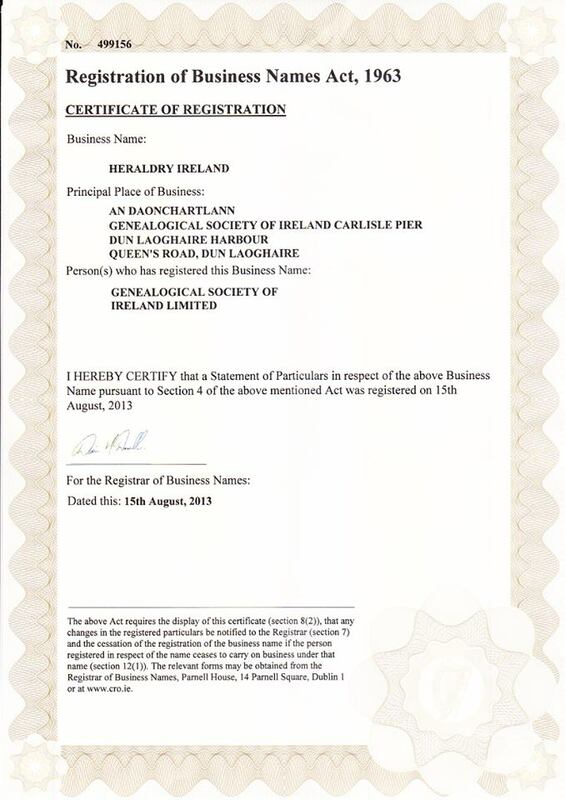 Please read the aims and objectives of Heraldry Ireland on this website. A copy of the Constitution may be viewed here. Checkout these DVDs, many of which, have information of interest to heraldists and genealogists. The listing can be viewed here. As this website is still largely under construction, please checkout Heraldry Ireland on Facebook here. Grant of Arms to the Society in 2001. The first genealogical organisation in Ireland to receive a Grant of Arms from the Chief Herald of Ireland. Heraldry Ireland will soon launch Ireland's first ever nationwide heraldic project to create a unique resource for the study of Irish heraldry, its history and its use today throughout society. The project will seek participants from all over the island of Ireland and hopefully, our diaspora will become actively involved too. Further information on Friday October 4th 2013 - please check back.